I grabbed a few cheap Xeon E5-2670 chips from eBay. Man they are incredibly cheeeaap now! (slightly over $100 as of today) Eight cores, at the price of an A10 APU. With a decent X79 board one can get extreme performance. And I got a pair of them for a dual Xeon rig. 16 cores, up to 3.3GHz, 40 MB cache, octa-channel DDR3-1600, plus two mini SAS ports. It is simply a beast! And you get it below $1200! Gigabyte GA-7PESH1, the SSI/EEB form factor dual LGA2011 server board, above all, is BLUE! Amazing as a server board, because almost all non-Gigabyte options are green and ugly. I saw a cheap deal on eBay and I got it without thinking twice. NZXT Phantom. The legend. Not sure what inspired the designers, but my first impression was certainly the brave and loyal Imperial Stormtroopers. I decided to add some flavor that could awake the Force in you. You will need a bit of case modding to fit a server board into Phantom. The hardest part is to get the power supply cables through the narrow groove on top of the case. It should be a huge problem if you already have a powered drill in your toolkit. 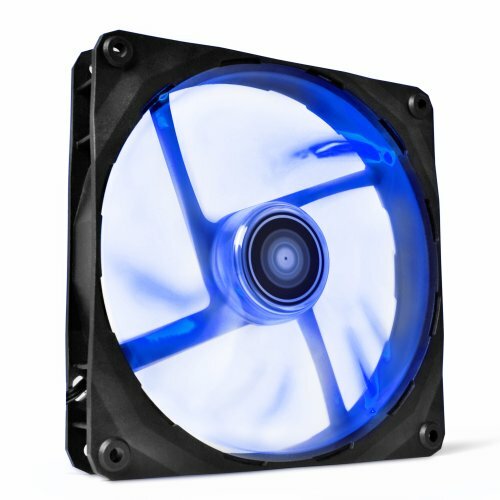 Zalman CNPS9900 series CPU cooler has been my favorite. They are round, meaning that the outline is contracted enough not to be an obstruction of anything on the motherboard (memory slots, the other CPU, etc.). And they are beautiful when paired! As a geek of dual CPU configuration, I have built up around 10 such rigs. This isn't the most powerful one, nor is it the cheapest. But since I have mastered the in and outs of dual CPU, this is likely my most mature work. I finalized the machine by putting a Stormtrooper decal on it. Can you feel the Force now? Need more night pics of that but it looks brilliant! Perfect pick on the coolers I cant imagine two of anything look anywhere near as good as that. Thank you! I took a load of pictures. Here you may find more pictures and descriptions of the machine (though in Chinese). The coolers are my favorite. They are not only beautiful but also dual CPU board-friendly. That's B-E-A-UTIFUL. I'm not very knowledgeable when it comes to server grade parts, but it looks awesome, can I ask what kind of work will it be used for / what kind of performance are you expecting from it? I'm very interested about the technical stuff :P Also, did you have any problems with it being a server board based build? Any trouble when settings thing up? What did you do to accomodate the board in the case? Thanks! The owner of this machine is a data scientist. He has lots of serious works to do with it. There are quite a few issues when one attempts to match enterprise and consumer parts. For examples, 1) server boards are typically larger (EEB) 2) server boards have non-standard screw hole plans (and they differ by brand, by model) (meaning you have to drill hole yourself). 3) server boards have memory slots aligned horizontally (meaning consumer's CPU cooler may hit them). Other than these, I feel there aren't too many differences. did this case have all the mounting holes or did you have to drill? You will have to drill a few of them. It is an interesting video! I am a fan of that Linus guy. My lowest record of dual Xeon rig is around $750. 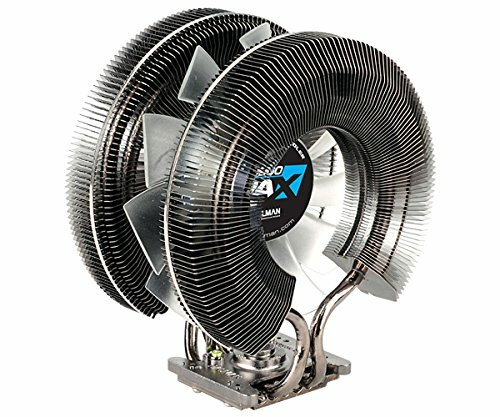 Utilizing old server parts (CPU, motherboard and RAM) you can get unbelievably cheap outcomes, and actually, case / cooler / PSU cost more than the core parts. Benchmarks ? This is a really cool build. Thank you! I tested lots of things but, they were all lost during an accidental disk format... I remember that CineBench R15 is around 2000, which is quite beyond my expectation. It already beats older dual Xeon X5690 or dual Opteron 6386SE, which are priced much higher. As low as a regular PC. I didn't write down the numbers but, as I remember from this machine and my others, typically idle 25-35C, load 55-65C. Looks Cute the Pair working together with those awesome looking zalman coolers. This needs to be featured. We have a similar build on our page, but your computer is much cleaner and prettier. Well done sir! 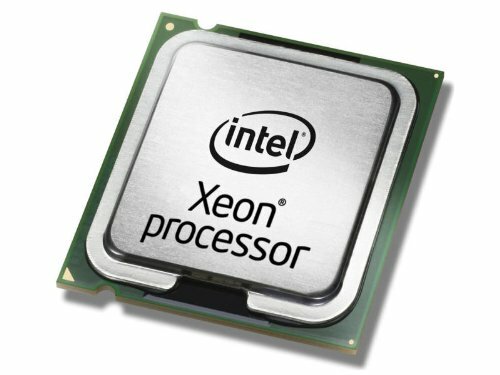 LGA 1366 Xeons are going for 10 dollars right now. I got an E5540 for $7.40. This is great though, I love it when people make use of older parts! I'm planning a dual 1366 server build soon. Well done! Good luck on your build! The ultimate 1366 chips, Xeon X5690 once dropped to <$200, but now it's back to $400. Strange. I have built >5 dual 1366 servers. I love this platform but in the recent months I sadly realized that the hayday of 1366 as a solution for performance is over. 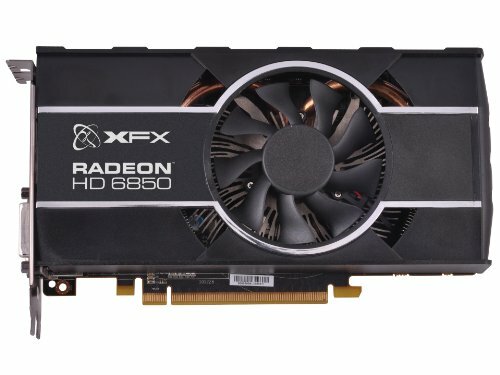 The X5650 is going for around 75-90 dollars. Try moving the decimal place of the price of the processor to right. It costs $1,500. Haha have you actually looked on eBay? It used to be, but now E5-2670 is a retired server part as of Dec 2015. You can get much lower rates now. LOVE those coolers. I own several. H100i performance at $45 and 1/2 the noise. Right! I love them too! same mouse ketboardhere..' awesome wireless periferals. Looks as a badass monstrous performing machine with one obvious bottleneck your video card. You have two very fast CPU's, A lot of RAM, an SSD, great cooling, but your videocard is mediocre. You could opt for a Radeon HD 7950 white edition which is a pretty powerful AMD card or a Radeon 390X. Or if you want to go full power you could opt for a fury x or a R9 nano. As far as I can see from this setup you don't seem to care much about gaming. Add a better videocard and your pc will be add a new level of diversity. You make a stormtrooper that won't be able to run star wars battlefront at 1080p. Well maybe on low settings 20-30fps but I wouldn't consider that as an enjoyable experience. So I would implement a better videocard with a white color scheme. You got the point, but this machine is not for gaming anyway. The user is a serious professional with heavy parallelizable tasks. All he needs is CPU cores. The only reason I put a Radeon HD 6850 instead of an HD 5450 in this machine is because he already owned this 6850 from an old machine. Yeah I understand that he is no gamer. He better be a star wars fan though. Nonetheless awesome built and great component choices. Those xeon cpu's are a badass choice, I would actually want to have it in a future built too. I'm afraid it will be too complex to manage for me. I don't even know how to get a motherboard with socket LGA2011 nor would I know how to fit it in a proper case if the holes of the motherboard wouldn't align with the standoffs in the case. Thanks! Her majesty blesses you. Amazing bro, can you please put the s340 case on part picker. And I plan to do the same as you but how is it building in the s340 with a dual cpu config. Thank you! I just posted my S340 build. See here. Also check out my other S340 build. There is some tricks, though. Your part list is good enough! If I were you I will use smaller case or larger motherboard, to make them more fit. But it is a personal flavor. So you wouldn't be concerned about trying to get it all to fit into something like a Define R4/R5? I am not concerned with your part list at all. Defibe R4/R5 is not big enough for SSI EEB, but a regular ATX (or CEB) as you selected is what it's designed for. Go ahead and have fun! Got it built about a month ago. Works wonderfully, thanks for the help. Don't know much about how this performs but +10 on looks. I love this! How did you get the E5-2760s so cheap? They are 10x the price right now.. They are even 50% cheaper now. Check out eBay item # 281889330127. Awesome. Have you had any issues with them? No. I have assembled 10+ dual CPU workstations and never had problems with the used CPUs. Even when I occassionally mistakenly ran them without heatsink they did not boil up. Thanks man I appreciate it. Nice work by the way. Did you happen to use either of the Asus Z10PE boards on any of those other builds? Nevermind. Just realized. Not compatible. Thanks!! Yes. I used Z10PE-D16. What do you want to know? Do you have any videos on how to build something like this (dual CPU configuration). I'm at a loss for words on this, I could imagine with the right setup this would be a video converting/editing monster. You must teach me the ways of the force :) mail me a link if you have one like a for dummies version cause I have no clue how to do this. Also have you had a client use a setup like this for video editing and conversion if so how much of a increase are we talking here. Hi there! There might be some videos in Youtube. I think I watched a few when I was a beginner. But since then I am being playing around without reference. I honestly don't think you need videos in addition to articles to start up. If you have made a few "regular" computers, you may try certain easy dual CPU workstation configurations. Mines may be bit challenging because they use large SSI/EEB motherboards, which most case won't host. But you can try smaller, ATX/CEB motherboards, such as ASUS Z9PA-D8, with two E5-2670s, two Zalman CNPS9900Maxes, a 650+W PSU that has two 8-pin or 4+4pin EPS12V cables. Then you are ready to roll. There is nothing different from building "regular" PCs. By the way, dual CPU workstations are superb in video editing. I am not a video editor, but I run Cinebench R15 the 2D rendering benchmarker. Dual E5-2670 could reach the score of 2000, while i7-4770K is merely 822. Awesome thank you for the info! I'm beyond happy I saw your build on here due to the fact I'm building a new rig now with video editing in mind. Now I'll just focus on the gaming aspect of it and build one of these to and still probably save money but for quadruple the performance. It's hard to build a combo rig like gaming/video at a decent price especially when relying on cuda cores. I'm rambling sorry, thank you again this changes things for me I can't wait to Set one up. I am glad that my post inspired you! Good luck with your build! Thank you! I'll let you know how it goes. I really love the build and all the concept. Great work and love to see more. Thank you and happy new year too! I have quite a few posts of my other works in some Chinese forums. I will be interested in re-posting them here when I have time. Using your build for inspiration for my first server build. It looks great! Phanteks Enthoo Pro is a wise choice. I used it for my third dual E5-2670 build. This case requires least amount (probably none) of modding effort. Its build quality is obviously superior to my other cases. The ASRock mobo looks suitable by its spec. Some people suggest against all non-Supermicro/Tyan brands (ASUS, Gigabyte, ASRock) for workstation builds, but I am not among them. Actually, these 2nd tier brands usually provide more functionality at the same price range. For memory, I always max out the 8 channels (meaning 8 ram sticks). But if you are not doing I/O intensive jobs, merely 2 sticks is still acceptable. Please be confident and proceed. May the force be with you. Great build!inspirational. i wanna build myself something too with 2 e2670,wanna work 3d rendering etc.But ..I am a nooob.I cant find cheap motherboards secondhand in europe,so the advise for the asus Z9pa-D8 is an option for lower budget,still expandable with multiple videocardsx16.But..also the ecc ddr i cant find cheap here,so is it possible to put regular ddr 3 in it? (looks even faster to me).I dont know why this bord is so cheap,still fits i guess 64 gb ddr3,but i dont come in trouble,create a bottleneck with data storage or something?Thanks for answers,have a lot of fun with all the builds everybody! Yes regular consumer's DDR3 sticks will fit! Go ahead and have fun! Thank you thomasz,i can buy e2670 with different extra name. E5 2670 SROH8 E5 2670 SROKX They are good buys,almost same?cant find differences on web. These two model numbers differ by stepping code. SR0H8 = C1, SR0KX = C2. The larger the stepping is, the better. Therefore C2 is better than C1. How better? You will not notice any difference unless you are an overclocking enthusiast or a professional computer scientist. Thomasz! havent start to build yet,but i see they have broken VT-d,the sroh8,which is important for virtualizarion pass through e.g. gpu's.Thats what they say.So i guess its not a good idea to use for rendering and modelling 3 d? Hope you know the answer. I do believe that E5-2670 supports VT-d, as almost all server CPUs do, and I am not sure what is sroh8. Whoever they are I do not agree them them. Shi i see now the asus Z9PA-D8 i was looking at for 300euro has a difference with the Z9PA-D8 WS. Difference is 4 more data 300 and 4 more data 600.And nowhere to find out whats the max memory possible.And cheapest board no info raid possibilities.Does anyone know if from the cheap board the 2 600 sata ports are enough for data not to be a bottleneck? (there are also 4 sata 300 ports). Thanks for answers! I have found another cheap board with 6 sata 600,for sure enough memory possibilties and raid possibilities.Asrock EP2C602.I dont know again why its cheap,if someone says noo dont buy that because....?please tell me. One important difference is that Z9PA-D8 WS has 7 PCIe 16x slots while Z9PA-D8 has two; it means that you can have 4 GPUs with Z9PA-D8 WS, but only two with Z9PA-D8. If you don't need lots of GPUs then Z9PA-D8 probably gives you more value per $; also, it uses standard ATX form factor so it is easier to find a case for it. Z9PA-D8 WS is for people who need a lot of GPUs (scientific computing, rendering stuff, etc. ); for these people Z9PA-D8 WS allows to build a workstation which is almost twice as fast as Z9PA-D8-based workstation. With both MBs you can have 256GB of ECC RAM or 64GB of non-ECC RAM; the info is on asus website. 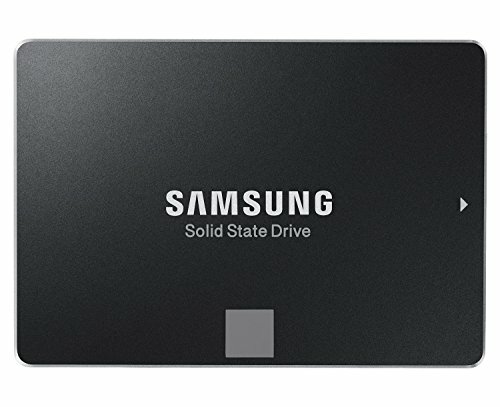 I'm not sure SATA differences are that important; for super-fast IO it should be better to put SSDs to PCIe slots anyways. Hi! First of all: thanks for the tip, buying second-hand CPU is definitely the best you can do. However I am surprised by your estimation of the motherboard at only $165. The only decent dual-cpu mobo I found were at least around $400, and I wouldn't trust a secondhand motherboard as much as a new one. Do you really think I can find one for less than $200 ? I totally understand your concern. I am used to buying 2nd hand motherboards. To this point I have bought around 20 mobos from eBay, and around 20% of them had minor problems, which I managed to fix later (e.g., bent CPU socket pins, detached capacitors). I think for safety and budget purpose, you may target those "new other" mobos with a low price tag. They are usually manufacturer' stock parts for replacement, that is, they are brand-new. But because the product's service period has expired, there is no point for them to keep the parts. Therefore, you can find them in the market. This is scenario is like i7-3960X, i5-2500K, etc. It is not easy to find those deals, though. Time and luck are important. I wanted to say thanks for bring a excellent resource in this matter. It seems that most motherboard have been snatched up. 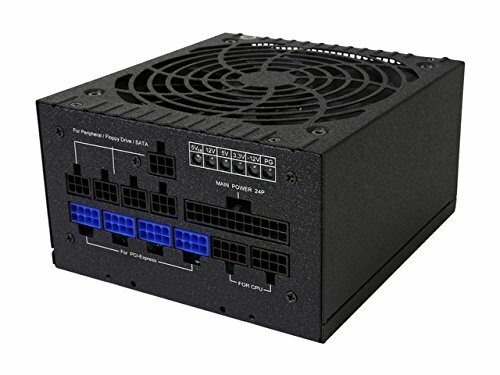 I am contemplating this AsRock Rack MB. Could you comment on the below build? I'm erring on the side of caution with future upgradablity in mind. The use case for this is for VM and future machine learning work. Anything I'm missing or should consider? Thank you! I feel really flattered. You configuration looks great to me. I am sure you will find it helpful with VM and machine learning. Most parts look reasonable. My suggestion is: the memory can be faster. E5-2670 takes up to 1600MHz. The platform (up to E5 v2) takes at most 1866MHz. Also you may consider using ECC REG memory if calculation correctness matters to you. Would you recommend this spec for GNS3 and Vmware lab? Vmware, yes. I don't know about GNS3. Anyone else see the Hoth shield generators when they look at those coolers? Great build! Where did you get "Gigabyte GA-7PESH1" for $165? Thank! eBay. Availability is merely occassional. where did you find your motherboard at? eBay... Gigabyte boards are not so common. Good luck! what the heck is that motherboard? im looking to build something similar for rendering. x79 dual mobo's are hard to come by huh? Well you can try eBay. Used boards are not that hard to find. Thanks! You will get your most suitable machine!